The NATO strap is suitable for use with any Citizen, Rolex or Patek Philippe watch design. Its versatility makes it the ideal accessory for virtually any casual or luxury wristwatch. With so many material options to choose from, consumers can create any look to match their personality and personal style. 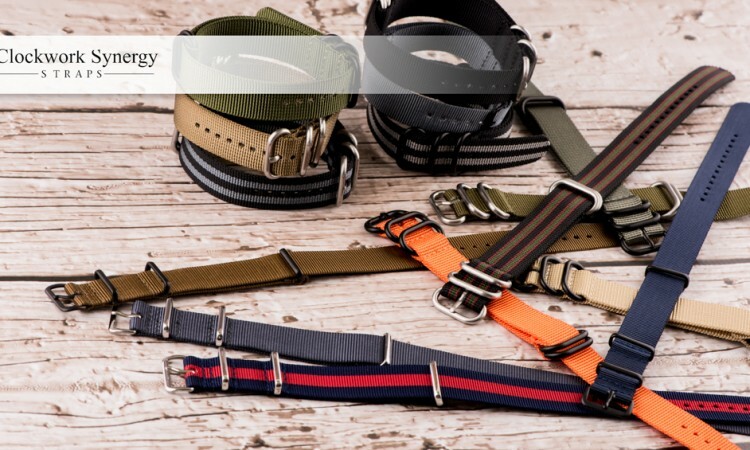 NATO leather strap options include products made with a variety of types of leather, including suede, distressed leather, ostrich, vintage or saddle leather. For a sporty look that goes anywhere, NATO bands are available in many different color combinations, including desert camouflage and army camouflage. These straps are available in one-piece and two-piece designs. The one-piece NATO strap features the end of the strap extending out from the side of the buckle. The strap has a silver or black buckle and is fed through the lugs on either side of the watch face. To attach a two-piece NATO strap, the user will need a standard watch screw or watch pin for attachment to the watch case. The two-piece model is made of nylon and features a quick release closure making it simple to put on and take off. This strap is equally suitable for casual and formal occasions with design options that include multi-colors, prints, or solids to suit any mood. In addition to having so many color options, consumers can choose from a wide range of widths, which can change the entire look of the watch. The narrowest width available is 13 mm, while the widest strap available is 26 mm and there are several width options available in between. Designers of the NATO strap successfully created a strap that reflects an active lifestyle and has a distinctively masculine look. The various NATO straps available today remain true to that original design concept.